Item004 - J. Cowle - plan of route from Roebuck Bay to Tien Tsin Harbour by James Cowle, Assistant Surveyor 1866. Item004A - C.C. Hunt - Port Hedland and surroundings, 1863. Item005 - Canning Stock Route - plan of original survey by A.W. Canning near McKay Ranges, c. 1906 [Tally No. 006899]. Item 002 - Canning Stock Route - plan of original survey by A.W. Canning between Murguga Native Well and north of Kudurra Native Well, c. 1906 [Tally No. 006900]. 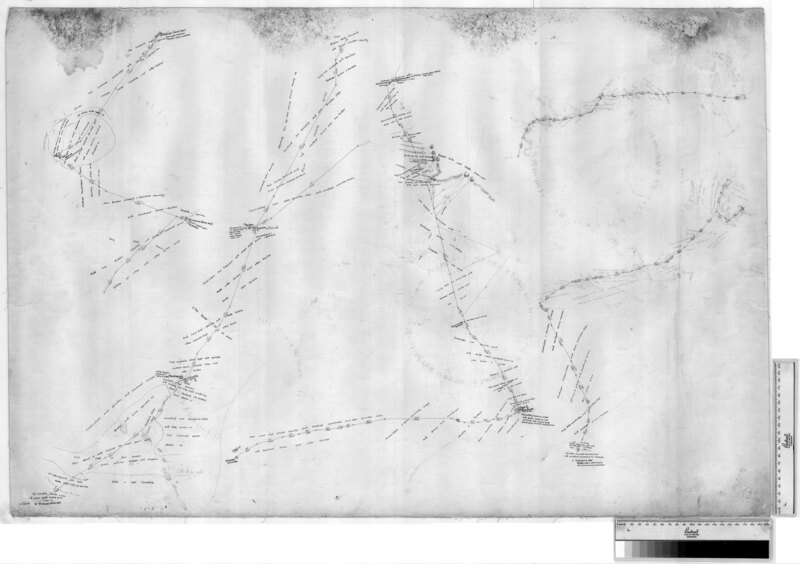 Confirm Item Request: Canning Stock Route - plan of original survey by A.W. Canning between Murguga Native Well and north of Kudurra Native Well, c. 1906 [Tally No. 006900].